Dept. 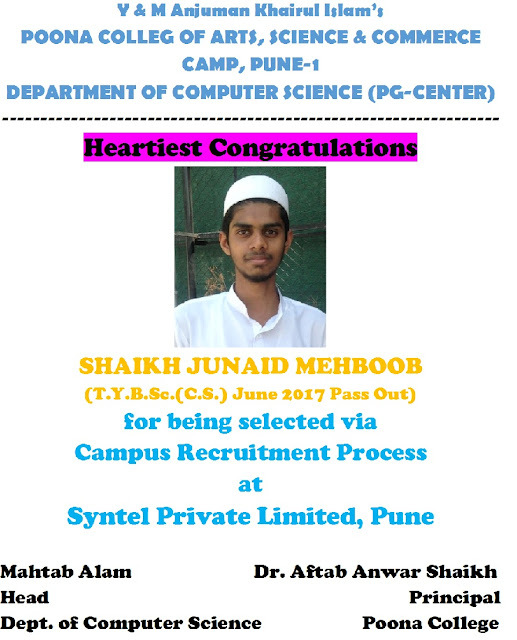 of Computer Science, Poona College,Pune: Heartiest Congratulations to Junaid Mahboob Shaikh for selection in Syntel Private Limited Pune. Heartiest Congratulations to Junaid Mahboob Shaikh for selection in Syntel Private Limited Pune. POONA COLLEGE Department of Computer Science (Post Graduate Center).Heartiest Congratulations to Junaid Mahboob Shaikh for selection in Syntel Private Limited Pune.Dr. 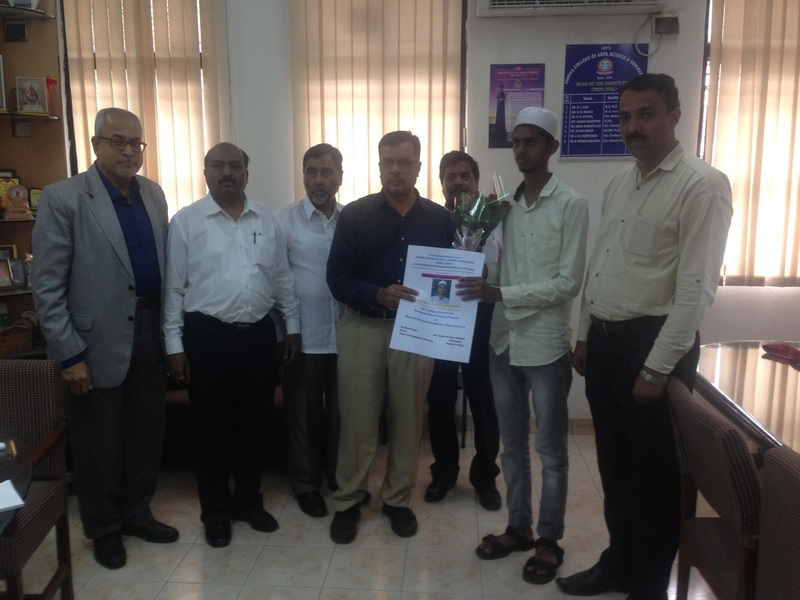 M. Hanif Lakdawala,Trustee,Y & M Anjuman Khairul Islam felicitating Shaikh Junaid Mahboob TYBSc(CS) 2017 Pass Out student for being selected via Campus Recruitment Process at Syntel Private Limited Pune.Former Principal Dr. M.Rafique Sarkhawas, Principal Dr. Aftab Anwar Shaikh, Vice Principal Arts Faculty Mr. Moinuddin Khan, Vice Principal Science Faculty Mr. Iqbal N. Shaikh & Head Dept of Computer Science Mr. Mahtab Alam were present and congratulated to Junaid Shaikh for his success.